Cairo: Twenty-one years after his killing by Muslim radicals, Faraj Fouda, an Egyptian secularist noted for anti-Islamist writings, is remembered as a thinker with a vision for a country where concerns mount over Islamists’ rise to power. “My father expected he would be killed,” said Samar, Fouda’s eldest daughter. “At that time, he was the only one who exposed Muslim extremists and their shallow interpretation of Islam,” she told the private Egyptian TV station CBC this week. Samar was 16 years when her father was shot. The militant Jamaa Islamiya (Islamic Group) claimed responsibility, branding Fouda as an apostate. 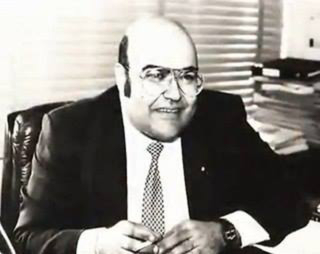 Fouda, a university professor, triggered a massive controversy and infuriated Islamists in the late 1980s when he went public with advocacy of secularism. He suggested in his books and columns that religion and state affairs be separated, prompting clerics in Al Azhar to accuse him of blasphemy. Two militants fired at Faraj on June 8, 1992 outside the Cairo-based Egyptian Society for Enlightenment, which he had founded. He sustained serious wounds and died hours later in hospital at the age of 47. His killers were released last year as part of a pardon for more than 500 inmates issued by Islamist President Mohammad Mursi. Fouda’s daughter, a member of the liberal Free Egyptians Party, plans to re-publish his books to promote what she calls “thinking of enlightenment”. Al Banna is the founder of the Muslim Brotherhood, a powerful Islamist group from which Mursi hails. Fouda, who was an avowed foe of the Brotherhood, published several books, including “Terrorism”, “To Be or Not to Be”, “A Bad Omen” and “Before Fall”. Several liberal forums in Egypt have recently held tribute ceremonies in honour of Fouda, nicknamed by his followers as the “martyr of Enlightenment”. Taher is one of dozens of Egyptian intellectuals who have been protesting for more than a week now demanding the sacking of the Islamist-backed Culture Alaa Abdel Aziz. The sit-in, being held inside the Culture Ministry building, is part of wider protests in Egypt against the ruling Brotherhood, accused by secularists of seeking to “Islamise” the country’s cultural identity. “He was a thinker who bravely expressed his views and stood firm against an immoral war that continues to target him even more than two decades after his death,” said Taher in a tribute to Fouda.